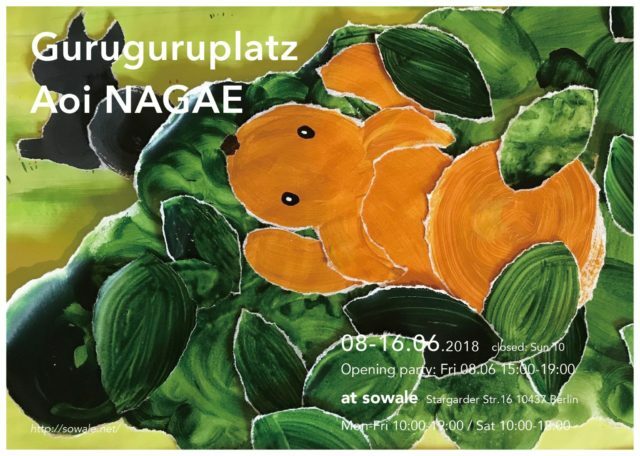 The exhibition ‘Guruguruplatz’ by Aoi NAGAE will be held from 8th to 16th June at sowale. Aoi is a designer by minä perhonen, and a picture book writer. by Fukuinkan Shoten Publishers,Inc. in April. In this exhibition, we will sale the books, and exhibit the original pictures. and the second book “GURUGURU-CHAN MEETS HIS RABBIT FRIEND” you can have a look. We hope you will have a lovely time with Aoi and GURUGURU-CHAN !